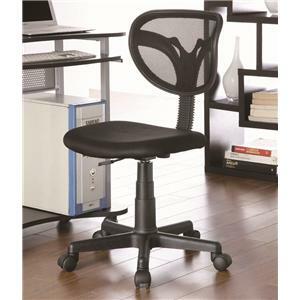 Whether you are working at home or in the office, this contemporary task chair will keep you comfortable. 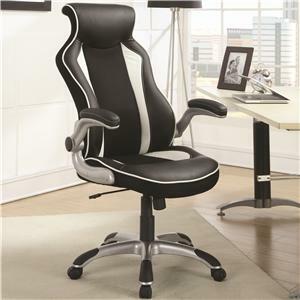 Body-contoured seat and backrest with detached armrests ensure added support and comfort for those long hours. 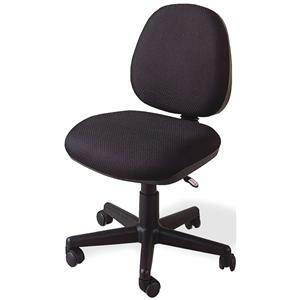 A pneumatic seat height adjustment lever allows for individualized comfort to easily conform to your desk or workstation. 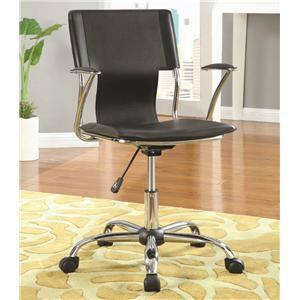 Silver-finished metal base is outfitted with caster wheels for easy mobility. 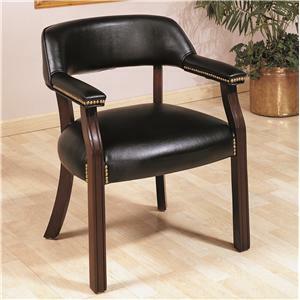 Covered in a black, durable leather-like vinyl, this task chair promises to last through the years while maintaining its stylish appeal. 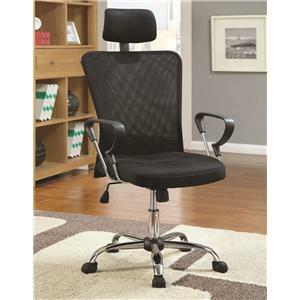 The Office Chairs Contemporary Adjustable Height Black Task Chair by Coaster is available in the area from FMG - Local Home Furnishing. 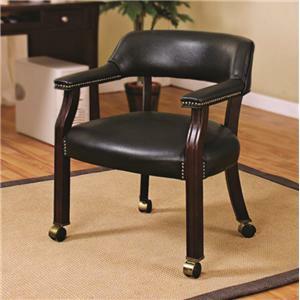 This group of office chairs offers a solution for every home, from a sophisticated leather executive chair for your home office, to a colorful task chair for your child's homework station. 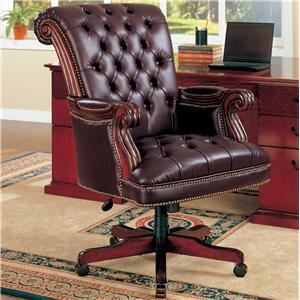 Add an office chair to your home to instantly update your functional home office. 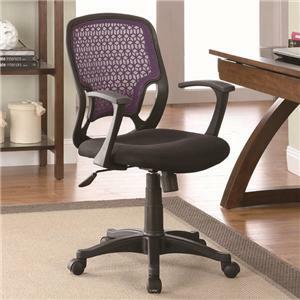 With comfortable seating, adjustable features, and casters on many of the chairs, you are sure to find an option that fits your needs and helps you create a productive home workspace. 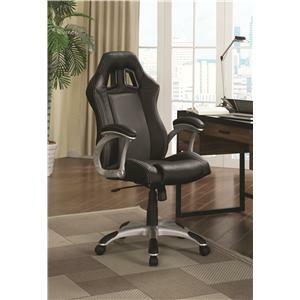 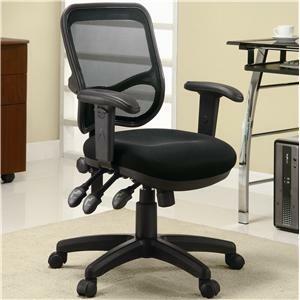 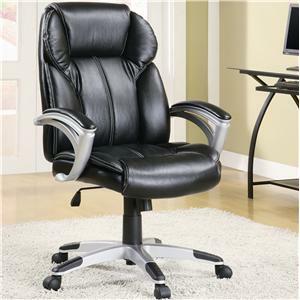 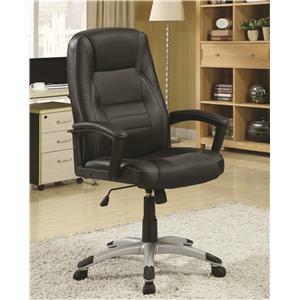 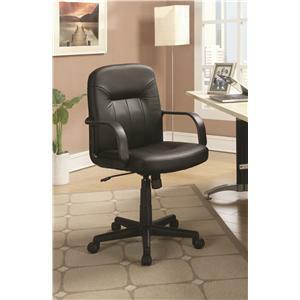 The Office Chairs collection is a great option if you are looking for furniture in the area. 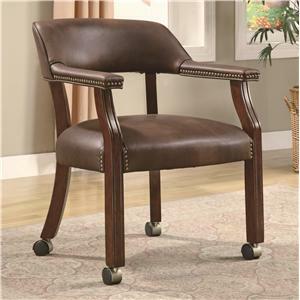 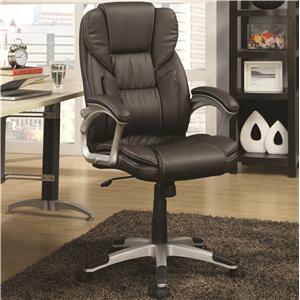 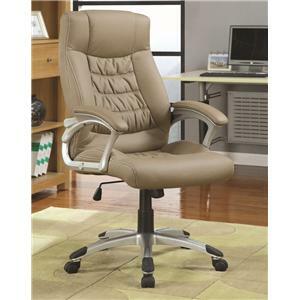 Browse other items in the Office Chairs collection from FMG - Local Home Furnishing in the area.